Experiencing the menopause is a difficult time for women as the body undergoes physical changes that can alter mood and provoke emotional difficulties. The menopause usually affects women in their 50s and is caused by the body reducing lower amounts of the hormones oestrogen and progesterone, causing symptoms such as hot flushes, mood swings, sleeplessness, night sweats, incontinence and thinning of the bones (osteoporosis). By recognizing the symptoms and learning to cope with them, women can protect their health and maintain a positive outlook on life. 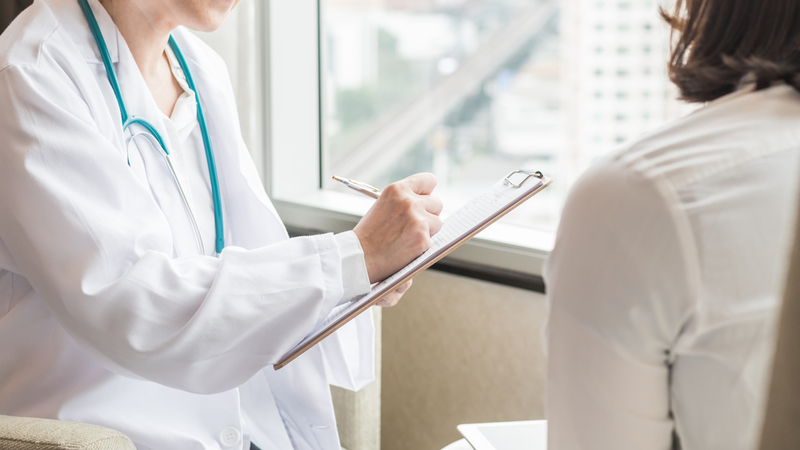 Talk to your doctor about Hormone Replacement Therapy (HRT), which artificially boosts the hormones oestrogen and progesterone and can dramatically alleviate menopausal symptoms. Learn to identify your mood swings as symptoms and develop coping strategies to deal with them. Try meditation or learn other relaxation techniques. Keep stress to a minimum. Emotional difficulties and mood swings can be exacerbated by stress. Try to avoid stressful situations like arguments and driving in heavy traffic. Maximize your chances of getting a good night’s sleep by going to bed at the same time every night, avoiding caffeine and abstaining from exercise for at least two hours before bedtime. Take regular light exercise. Weight gain is common during menopause so light exercise sessions of 30 minutes five times a week are important to help you stay in shape. Regular exercise can also help you sleep better, alleviate hot flushes, and reduce stress levels. Maintain a good diet. Eat fewer saturated fats and more unsaturated fats, include plenty of fruits and vegetables and switch to wholegrain sources of carbohydrates. This will protect your heart and help you maintain a healthy weight, so your body will be more able to deal with the symptoms of menopause. Talk to someone. The emotional problems that accompany menopause do not have to be suffered in silence or alone. Talk about your feelings with a trusted friend or relative, or ask your doctor for advice. Remember, it’s your life, your future, Your Health First. Sahtak Awalan - Your Health First is proud to be associated with our strategic partners. Click on each logo to visit their homepage and learn more about them. Sahtak Awalan: Your Health First was launched in 2012 by Weill Cornell Medicine - Qatar as a campaign intended to encourage people to lead healthy lives and transform unhealthy behaviors into healthy ones. The aim is to educate people about healthy living, sustainability, exercise and nutrition so they can make informed choices about the foods they buy, the importance of a balanced diet, and the way they live their lives. The initiative is totally inclusive and is aimed at everyone: young and old, nationals and expatriates, although there is a focus on youth. The campaign’s strategic partners include Qatar Foundation, the Ministry of Public Health, the Ministry of Education and Higher Education, the Ministry of Municipality and the Environment, Occidental Petroleum Qatar, ExxonMobil and the Supreme Committee for Delivery and Legacy. To create awareness through this public health initiative about healthy behaviors and disease prevention, as well as to educate Qatar's citizens about how poor lifestyle choices can have a negative impact on health and that small positive changes can have a large impact. To build a strong foundation toward creating a healthy society able to contribute fully to Qatar's knowledge-based economy in line with the objectives of Qatar National Vision 2030.